It is known to serve food in a true Indian palatable way. 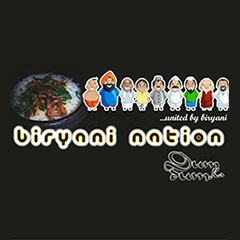 It serves delicious, hot Dum Handi Biryani selaed in the actual handi. It also serves Chicken Biryani, rich in taste with Chicken cooked separately. The food served here is completely home-like food which is perfect for the ones living away from their family. Must haves: Hyderabadi Biryani and Afghani Chicken.